For this season of Lent, we've been delving into 6 spiritual practices for following Jesus. Prayer is simply conversation with God—listening and speaking. This past Sunday, we were delighted to have Catherine Kelly, retreat Director for St. Mark’s College at UBC lead a retreat on the Ignatian Spiritual Exercises. Below you’ll find five practices of pray to enrich your spiritual life and go deeper with God. How about you? What are your favorite techniques, resources, or apps to pray through? Feel free to share on Facebook or in the comments below. Rev. Ingrid shared this simple method as part of our “Learning Together” time this past Sunday. 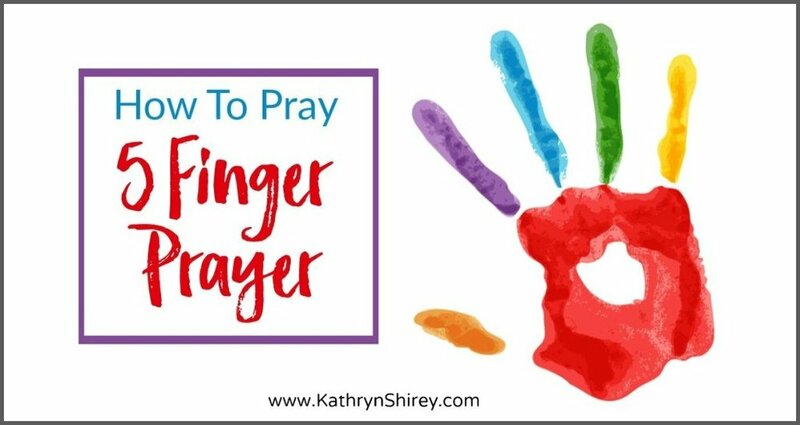 It’s a very simple way to pray, and you can find a bit more about it here on Kathryn Shirey’s blog. Your thumb is the closest to your heart. So, start here by praying for those closest to you, such as family and friends. The next finger is the index or pointer finger, the one used to give directions. Pray for people who lead, teach, and give guidance, such as teachers, parents, ministers, and other people who influence and guide your life. Next is the middle finger, which is your tallest finger and reminds us to pray for those in charge. Pray for the government and leaders around you. Someone asked, “even Donald Trump?” The answer would be yes, especially leaders who we think need to do a better job! Your ring finger (the fourth finger) is your weakest finger. This one reminds us to pray for the weak and needy. Those who are poor, those who suffer from sickness, addiction, or heartache. The last finger, the pinkie, is your smallest finger, and is for your personal prayers. Offer God gratitude, pray for your own needs, and ask for direction on how best to serve the people represented by all of your other fingers. Become aware of God’s presence - Look back on the events of your day. Pray for the presence of the Holy Spirit to help you see God’s work in your day with clarity. Review the day with gratitude - Review your day, looking for moments of love and joy, giving God thanks for even the smallest blessing. Pay attention to your emotions - Ignatius taught that we often detect God’s presence in our emotions. Reflect on the feelings you experienced during the day, whether joy, boredom, shame or anger. What is God saying through these feelings? Choose one feature of the day and pray from it - Ask the Holy Spirit to direct you to something during the day that God thinks is particularly important. Whether it’s a moment, your reaction to something, or a person. Look at it. Pray about it. Look toward tomorrow - Ask God to give you strength and courage for tomorrow’s challenges. Note any feelings you experience, and ask God for guidance in how to approach these challenges. Conversation with Jesus - Ignatius encouraged his students to treat Jesus as our brother and friend. End your conversation by confessing the day’s shortcomings and asking for forgiveness. Finish with the Lord’s Prayer. Since the beginning of the founding of monasteries, Christians have had what are called “Daily Offices,” services of prayer and scripture to be prayed collectively or individually at different times in the day. Daily offices are a bit more “intense” and probably more for the experienced pray-er than the novice. The classic in the English language is the Book of Common Prayer, used by the Anglican Church. You can purchase or download pdf versions of the Book of Common Prayer (the original, in more archaic English) or Book of Alternative Services (the more modern version from 1979) here. There are also daily app versions that you can have delivered right to your phone. The Church of England’s “Common Worship” app is especially good as it has both the ancient and modern versions. As I mentioned above, I have a hard time concentrating for prayer. I also have children, so silent time is few and far between. However, there are indeed apps for the practice of prayer. It’s a way to pray when you can’t find the time or space to do so. Pray-as-You-Go App- I highly recommend this app. It’s put together by U.K. Jesuits, and follows a simplified pattern of the Ignatian exercises, including scripture reading, reflection on the passage (a sort of mini-sermon) guided meditation, and prayer. Ingrid, Cheyenne and I all use it regularly. Listen online, or get the app here.